Looking for a classic party rental? Why not rent a cotton candy machine from The Caterers, Inc. A cotton candy machine is sure to be at hit at your event with the young children as well as the parents and grand parents. 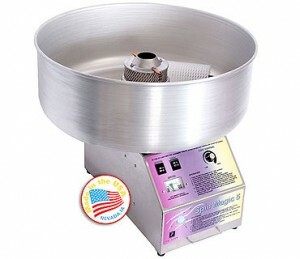 The stainless steel constructed Paragon Spin Magic 5 with aluminum bowl offers high performance, high speed production of cotton candy.